Tuffmade Polyliner Bags. ?Strength and durability prevent tears, save money in clean-up costs. 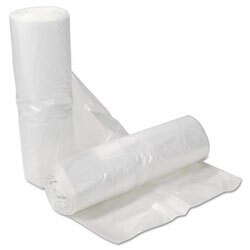 Eliminate double bagging for additional cost savings. INNER PACKAGING: 500 Per Case. 11 Gallons Clear Commercial Can Liners from Rubbermaid! 105 In Stock today.